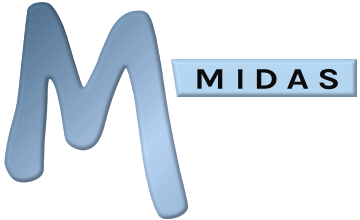 If when using your MIDAS scheduling system you see a "MIDAS encountered an unexpected error" or "Unable to save settings" error message in your browser, then to help identify the specific cause of the error you may need to enable debug logging. For security reasons, debug logging in MIDAS is disabled by default, and therefore in the unlikely event that your MIDAS encounters an error, very limited information will be shown to end-users. If you're running MIDAS v4.16 (or later), then you can enable/disable debug logging via MIDAS Admin Options → Manage MIDAS → Miscellaneous → Enable Debug Logging. Once debug logging has been enabled, try and recreate the conditions which led to the "MIDAS encountered an unexpected error" or "Unable to save settings" message in your browser, and additional diagnostic information may be shown on screen along with the generic error message. In addition, a "debug.dat" file may also be created on your server (at the location where your MIDAS is installed), which will contain further specifics on the error.